For our family the month of November was a microcosm of life. One awesome aspect of being back home in the U.S. is that we get to meet & reconnect with friends old & new. These are special relationships that stood by us when things were tough, made us laugh when we wanted to cry & challenged us to be better. This is why I love serving the Lord because in Christ my life overlaps with people that I may not have met otherwise. This month, we truly celebrated friendship that God has bestowed upon our lives. 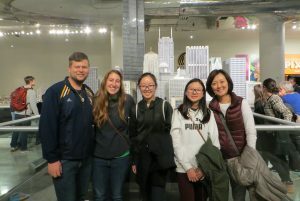 First, a couple who we met as our kids’ teachers in Taiwan who are now back home invited our family to meet them at the Museum of Science Industry in Chicago. These humble servants impacted both our girls & us deeply with their passion for teaching, integrity & demonstration of Christ’s love. They are an encouragement to us and so many others that cross paths with them. We also got together with some friends from our teen & college years. We shared a lot of memories and laughter. One common theme that kept coming up as we spent time with old friends was how fast time has gone by. God says in Psalm 39:5b, “Each man’s life is but a breath.” How true that statement is. Something about being with good friends strengthens us & allows us to be more courageous. There were also moments of sadness & fear too. One of my friends whom I consider to be like my brother informed me that his father passed away. I made a trip down to Indiana to attend the funeral. Although I met my friend’s father only 3 times, I sensed goodness about him. According to everyone who spoke about him, he was indeed a good man who loved golfing, fishing & God. My family was quite frightened 2 days before Thanksgiving because my father was involved in a car accident. He & I spent a few hours in an emergency room. 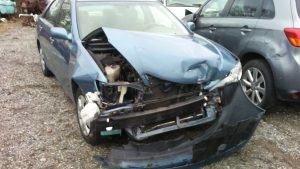 Although the car is deemed unrepairable, we thank God that for my father nothing was broken & there’s no internal bleeding. Therefore, we were still able to celebrate Thanksgiving Day together. As our parents are getting older, we do worry about them and pray more about their well-being. Jeanette’s mother has been unusually tired and mellow. She is not motivated to stay as active as she was. She had an MRI result showing an area of concern that we are going to have to wait and have checked again after 6 weeks. On top of that she’s been fighting off a cold for 2 weeks and has lost her appetite and a considerable amount of weight. We ask for your continued prayers for our parents. 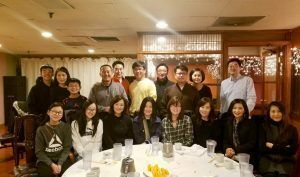 As we prepare for our 2nd term in Taiwan, I somehow thought that it would be easier to go back, but we are finding that it’s harder. However, at the end of the day, we surrender all things including our parents before God trusting that He will work “for the good of those who love Him, who have been called according to His purpose.” Therefore we rejoice, we press on. As we come near to the end of this month, we are filled with praise toward God. Even though life has its hardships we are able to experience peace, joy & love in Christ. And because of Him we find faith & courage to embrace God’s calling for our lives.